The American actress became famous after the comedy-drama "Coyote Ugly." She played a cheerful waitress, who dreamed of leaving her town, becoming a star and conquering New York. The screen story turned out to be semi-biographical for Piper Perabo, who played the main role. But most importantly, it opened the door to the world of the American film industry. The star of the cult comedy-drama "Coyote Ugly" was born in late 1976, in Dallas. Shortly after the daughter was born, the family moved from Texas to New Jersey, settling in Toms River. Piper’s Parents - hippies in the past – wanted to choose a creative name for their daughter. Her father and mother loved the director Blake Edwards, and the favorite actress of the family was Piper Laurie. Therefore, the girl, fortunately, was given the name of the TV star. The first variant sounded even more "exotic" - India Star. The actress’s younger brothers also got unusual names: Noah and Adam. The children are of Portuguese and Norwegian descent. Such a mix formed Piper’s beauty. The girl was a cheerful child and had a lot of friends. Piper was a good pupil, sang, and danced. She dreamed of becoming an actress, although her family wasn’t connected with the cinema word. Her father is a physical therapist; the mother is a professor of poetry. Piper Perabo dreamed of living in a big city. It seemed to her that lucky and successful people concentrate in megapolis and losers live in small towns. Therefore, after graduating from high school, she went to Ohio University, where she studied acting. And as soon as she finished her studies, she moved to New York, and worked in a small theater "La Mama." She earned not very big money, so Piper Perabo worked as a waitress. The girl visited auditions, and finally, she got to the cinema world. Piper Perabo’s acting career started in 1997. The actress was offered episodic roles in several low budget movies. In 1998, she played a secondary role in the film "Lonely Hearts," demonstrating her talent. Next year, 23-year-old Piper played the main role in the film about rappers "Whiteboyz." Piper Perabo in the movie "The Adventures of Rocky and Bullwinkle"
In 1999, she appeared on the screen in the role of the FBI agent Karen Sympathy in the comedy "The Adventures of Rocky and Bullwinkle," where she starred along with Robert De Niro and Rene Russo. The role in the comedy-drama "Coyote Ugly," released in 2000, turned Piper Perabo into a Hollywood star. In the film "Coyote Ugly" by David McNally, Perabo played herself. Her character Violet came from New Jersey to the Big Apple to become famous. Piper Perabo in the movie "Coyote Ugly"
The girl from a small town, dreaming of becoming a famous songwriter, gets a job as a waitress. She is afraid of the scene and learns to overcome fear dancing in the bar in front of dozens of drunken visitors. Preparing for the role, Piper Perabo recalled her music lessons at school, played the guitar and piano, took vocal and dancing lessons. The audience loved the film, but it received negative reviews from film critics. The film got The MTV Movie Award for Best Musical Moment. Piper Perabo in the movie "Lost and Delirious"
In 2001, there was a premiere of the melodrama "Lost and Delirious," where Piper Perabo, Jessica Paré, and Mischa Barton played the main roles. The actress played the role of a student Paulie, who fell in love with her roommate. The drama received positive reviews. It got international film festivals awards in Stockholm and Mar del Plata (Argentina), as well as Genie Awards. 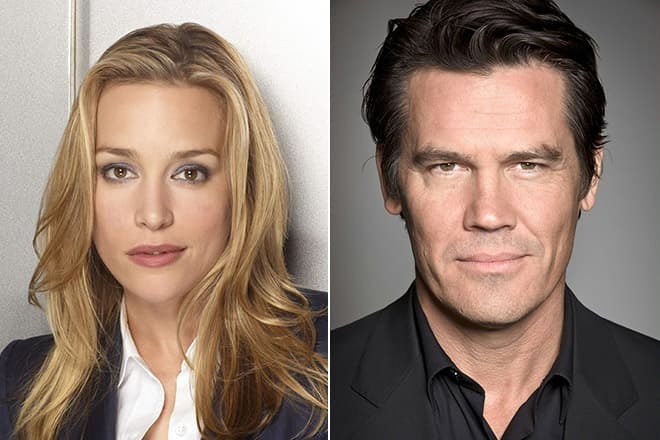 After the release of the melodrama about the love of two girls, Piper Perabo admitted that she consulted with her friend Josh Brolin, the son of Barbra Streisand, for a better understanding the role. Until 2005, the new Hollywood star appeared in several successful comedies: the romantic films "Slap Her... She's French," "The I Inside," "Perfect Opposites" and "Imagine Me & You." In 2005, Piper starred in horror films. The actress appeared in the horror film by Bruce Hunt "The Cave," where she met Lena Headey. Later, Piper returned to the genre of the thriller and starred in such horror films as "Carriers," "The Lazarus Project" and "Blood Car." In 2006, Piper Perabo appeared in the thriller by Christopher Nolan "The Prestige." She played along with Hugh Jackman, Christian Bale, Scarlett Johansson and David Bowie. The drama was nominated for "Oscar" twice. There was a new wave of popularity in 2010 after the summer premiere of the series "Covert Affairs." The 34-year-old star in tandem with Christopher Gorham played the CIA agent, Annie Walker. The success of the series inspired the creators to make a continuation. And in September, the producers announced the second season. In future, three more seasons were filmed, where Peter Gallagher, Anne Dudek, and Eion Bailey starred. The 6th season, which was announced earlier, wasn’t shot because of low rating of the 5th season. 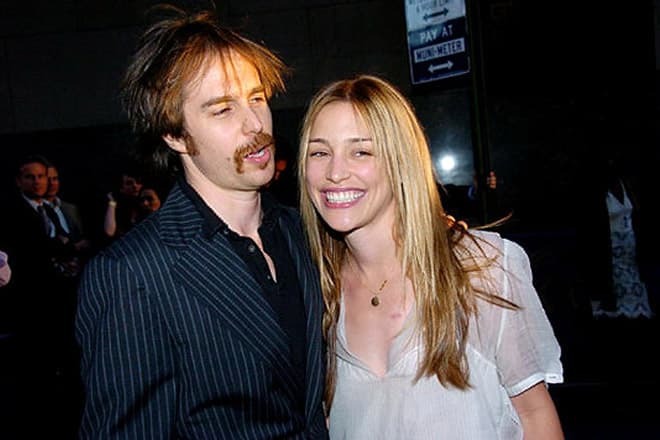 Brandon Emerson was the first boyfriend of Piper Perabo, with whom the actress had relations during her student years. They lived together for several years. Brandon accompanied his beloved at social events. The couple's friends called their relationship perfect. But Emerson did not share Piper's passion, dreaming, like his father, to become a farmer. Finally, the couple broke up. Perabo's colleague, Sam Rockwell, shared her passion for cinematography was, but the actors' relationship was short. In July 2014, Piper Perabo married her colleague, the director, and producer Stephen Kay, who had the relationship with Eva Longoria. They met on the set of the series "Covert Affairs" and were dating for three years. The wedding ceremony was held in New York. The bride wore a dress of "metallic" color with a mustard veil on her head. The bridegroom appeared in a baggy blue suit. 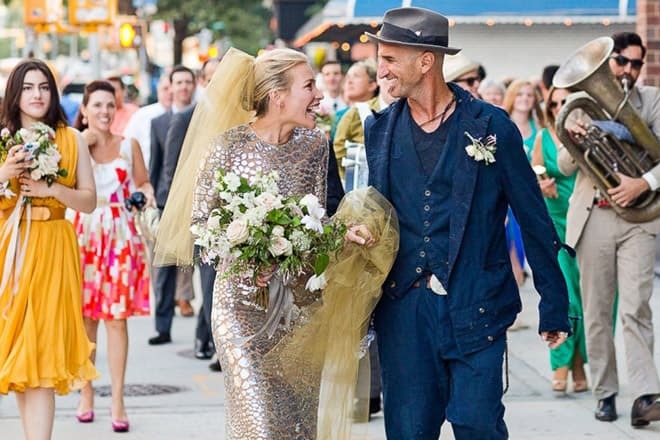 The tabloids called the dresses of the newlyweds "something new," and noted the happiness on the faces of the couple. Piper Perabo is a vegetarian. In her spare time, she listens to classical music, reads and likes fishing. The best friend of the actress is her colleague Lena Headey, with whom Piper co-starred in the film "The Cave" and "Imagine Me & You." Piper posts photos on the "Instagram," but does not like to share her family photos. Fans say that Piper Perabo looks like the British actress Emilia Clarke. In September 2016, there was a premiere of the drama series "Notorious." The show is based on real-life criminal defense attorney Mark Geragos and news producer Wendy Walker. Piper Perabo and Daniel Sunjata played the main roles. In spring 2017, the channel closed the project. Brian Goodman's project “Black Butterfly” was more successful. There was the premiere in the US in spring, and in Russia - in summer 2017. Antonio Banderas, Jonathan Rhys Meyers, and Piper Perabo played the main roles in the thriller. 1999 - "The Adventures of Rocky and Bullwinkle"
2001 - "Lost and Delirious"
2002 - "Slap Her... She's French"
2003 - "Cheaper by the Dozen"
2008 - "The Lazarus Project"
2009 - "Law & Order: Criminal Intent"